Odessa, Florida is an unincorporated part of Pasco County located about 20 miles directly north of Tampa International Airport. According to Wikipedia, "It was founded in the 1880s by Peter Demens, a Russian immigrant who established the community through the Orange Belt Railway. Demens also founded St. Petersburg, Florida and named both communities after places he used to go to in his native country." Odessa had been mostly open spaces, ranches, and horse properties. However, in the last 2 decades the area has experienced rapid development due to its close proximity to Tampa and the Veterans Expressway/Suncoast Parkway which passes through the area. From 2,000 to 2,010 Odessa's population more than doubled from 3,100 to more than 7,200. If you are searching for an Odessa pool builder to transform your back yard into a beautiful Odessa outdoor living space for you and your family, Grand Vista Pools is a great option. We've been building new swimming pools in Odessa and the surrounding area for two decades. 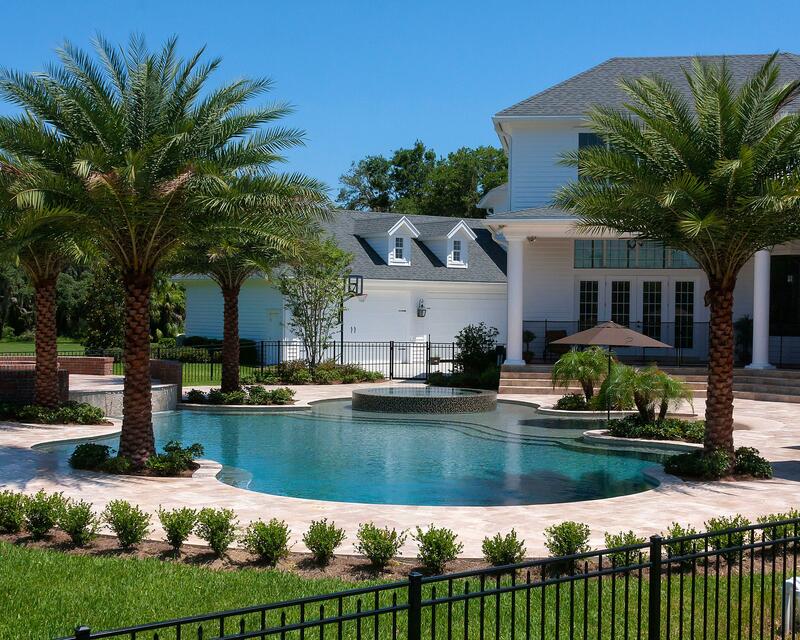 One thing that makes Grand Vista Pools unique is we are both an experienced pool builder and a licensed general contractor. This means we can design and build your entire outdoor living space including renovations to your home to help your existing indoor living space flow into your new outdoor living space. Do you have an older swimming pool that needs remodeling? Want to add lighting, water or fire features? Or maybe install a spa? We can do everything from pool resurfacing to an extreme makeover. Pool remodeling can make an old pool look better than it ever did thanks to new design options, features and technology we provide today! Grand Vista Pools also specializes in designing and building Odessa outdoor kitchens. From a manly outdoor grill to a full outdoor kitchen to a cool outdoor bar, we can create the perfect outdoor living space for you.